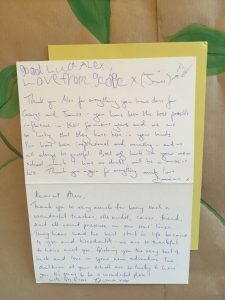 Alex was my son’s key teacher at Woodentots and I cannot emphasise enough how much we adore her, and how sad we are that she will no longer be part of our son’s daily life. She brings the best out of all the children – nurtures and guides them to fulfil their potential. 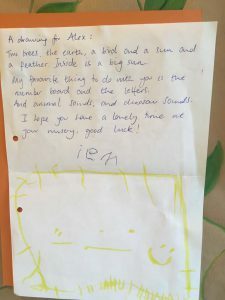 Like many four year olds, my son has some quirks and Alex always thought of creative ways of helping him through the challenges. She always went out of her way to support him. She is the perfect balance of understanding, firmness and deeply nurturing. My husband and I said on many occasions that Alex is the reason we feel our son loved school so much. We will miss her terribly. 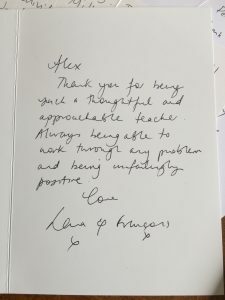 Dearest Alex, Thank you so very much for being such a wonderful teacher, role model, carer, friend and all-round presence in our sons’ lives. They had the best start in life because of you and Woodentots. We are so thankful to have met you! 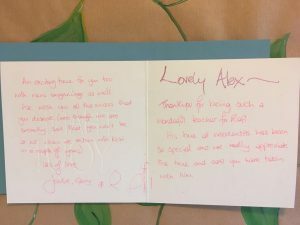 Lovely Alex, thank you for being such a wonderful teacher for Rafi. HIs time at Woodentots has been so special and we really appreciate the time and care you have taken with him. An exciting time for you too with new beginnings as well. We wish you all the success that you deserve (even though we are secretly sad that you won’t be at WT when we return with Kobi in a couple of years). Dearest Alex, what can we say? You have been the most wonderful teacher and given Jem two precious years, the best possible start to his education we could have wished for. It’s a hard act to follow! 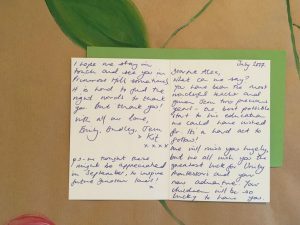 We will miss you hugely, but we all wish you the greatest luck for Unity Montessori and your new adventure. Your children will be so lucky to have you. I hope we stay in touch and see you in Primrose Hill sometimes. 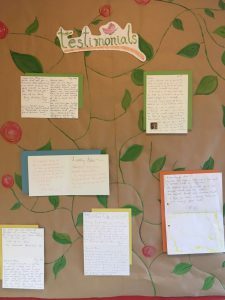 It is hard to find the right words to thank you. But thank you! With all our love, Emily, Bradley, Jem & Kit. 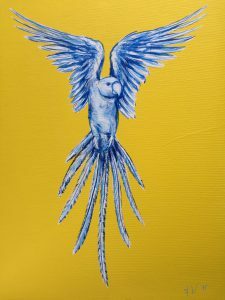 Two trees, the earth, a bird and a sun and a feather. Inside is a big sun. My favourite thing to do with you is the number board and the letters. And animal sounds, and dinosaur sounds. I hope you have a lovely time at your nursery, good luck! This puppet theater is waiting for you, in a large box, at Woodentots. 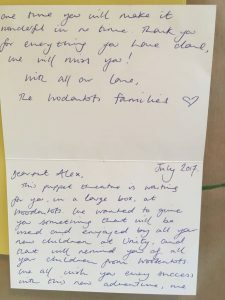 We wanted to give you something that will be used and enjoyed by all your new children at Unity, and that will remind you of all your children from Woodentots. We all wish you every success with this new adventure, we are sure you will make it wonderful in no time. Thank you for everything you have done, we will miss you! Alex trained under Woodentots Montessori School, she worked her way up to become Manager. The natural step was for her to open her own school. 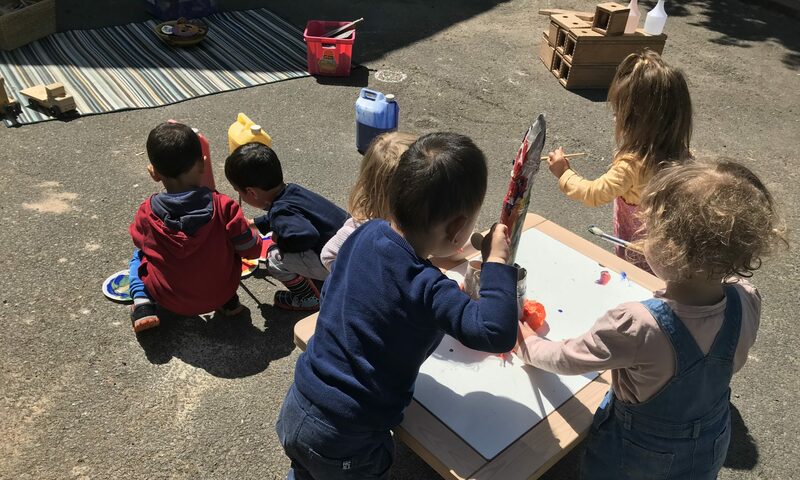 Alex is a dedicated Montessorian with a passion for creativity. I’m in no doubt that her school will excel and any child lucky enough to go to Unity Montessori will build sound foundations for life. Paula Woodman, principal at Woodentots Montessori. Thank you for a wonderful year! 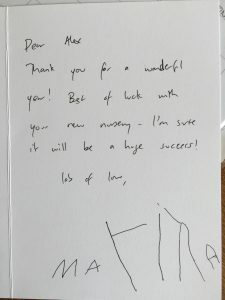 Best of luck with your new nursery. I’m sure it will be a huge success! Thank you for being such a thoughtful and approachable teacher. Always being able to work though any problem and being unfaithfully positive. Thank you for all your support with Elias over the last two years. It has been wonderful to see how he has developed and grown. 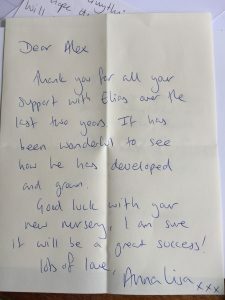 Good luck with your new nursery, I am sure it will be a great success! Thank you so very, very much for everything you have done for our wonderful son. He has truly blossomed, and that is true in large part thanks to the amazing work you’ve done with him! Very best of luck at your new school, the hundreds of children you will help to shape are all very lucky to have you, as were we! ¡Que siempre tengas una sonrisa en tu cara, y paz en tu corazón! Lots of love, F. S. W.